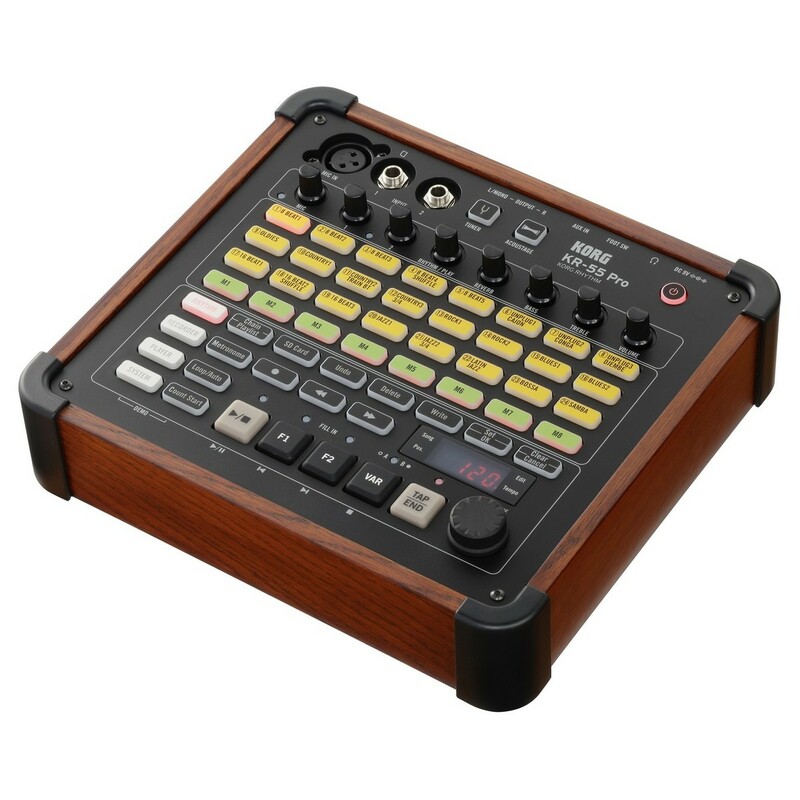 The Korg KR-55 Pro is a multi-function rhythm machine providing you with a number of built-in drum/percussion styles for easily creating a backing track to jam with. 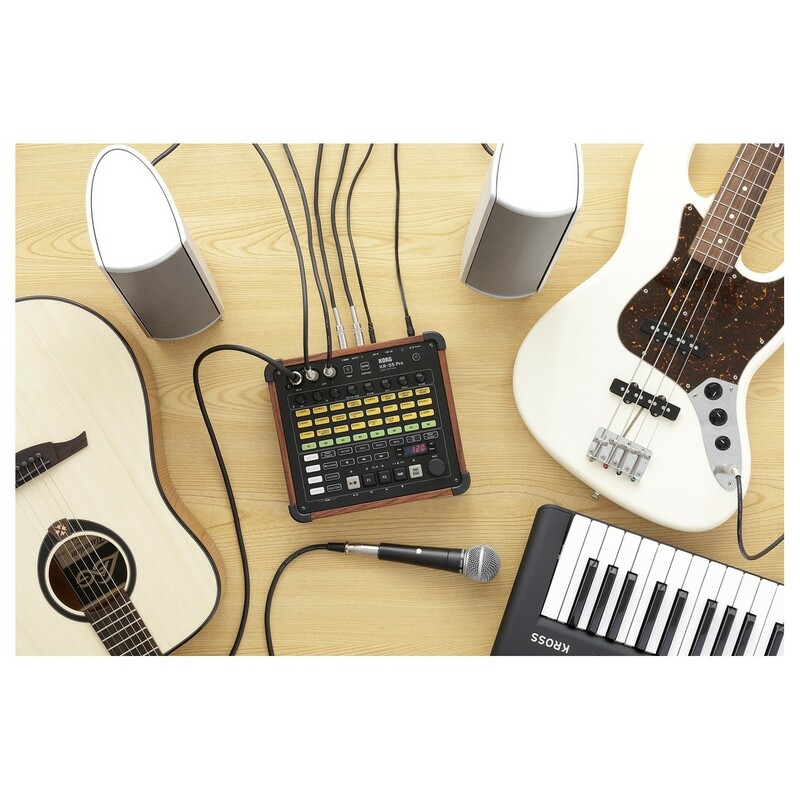 Ideal for buskers, studio sessions, and more, the Korg KR-55 allows you to create and prepare full backing tracks and sets with variable patterns. It also features a playlist function, which allows you to play songs in the order you want. The KR-55 Pro features a reverb and equalizer for shaping your sound. Additionally, the KR-55 Pro features a recorder function that allows you to record your own performances along with the built-in rhythm styles, your favourite songs, or a karaoke track that you have created in your DAW. 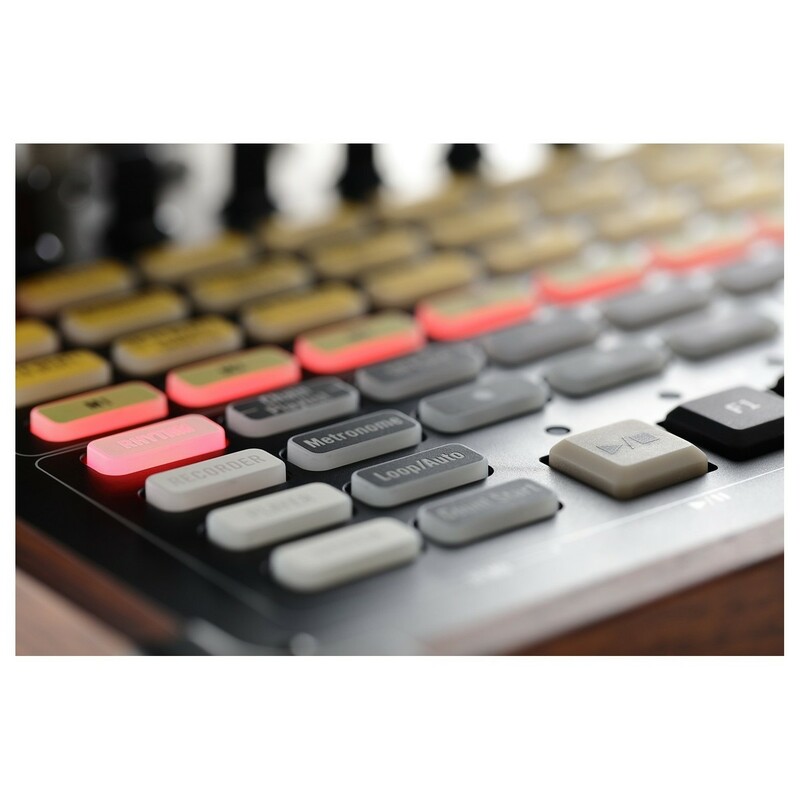 Offering multiple inputs for connecting a range of external devices, the Korg KR-55 Pro is the ideal standalone rhythm machine. 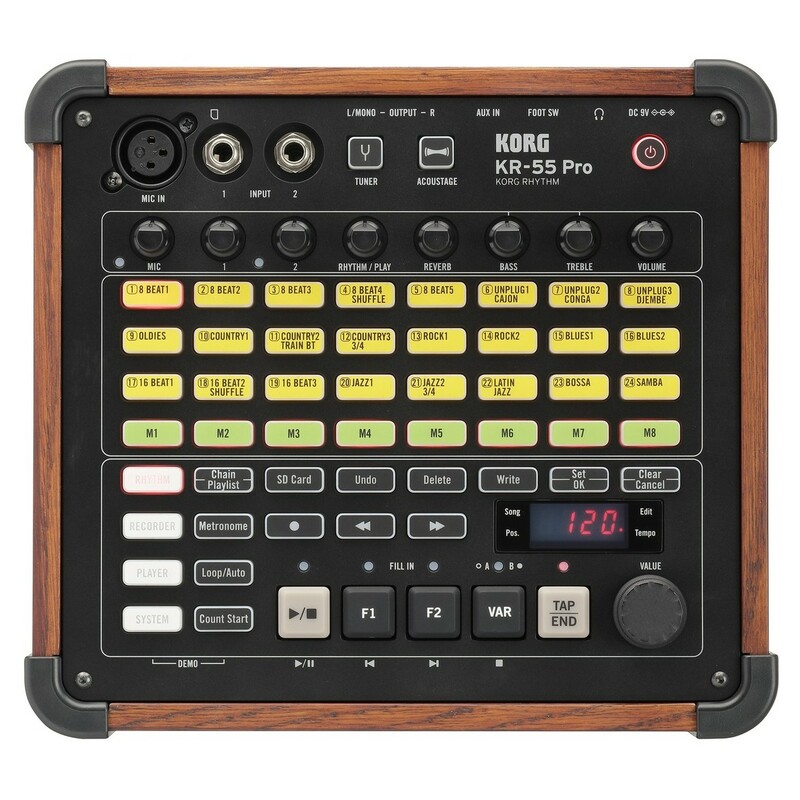 The Korg KR-55 Pro is equipped with a versatile recorder function that allows you to record your own performances. It also supports multi-track recording. 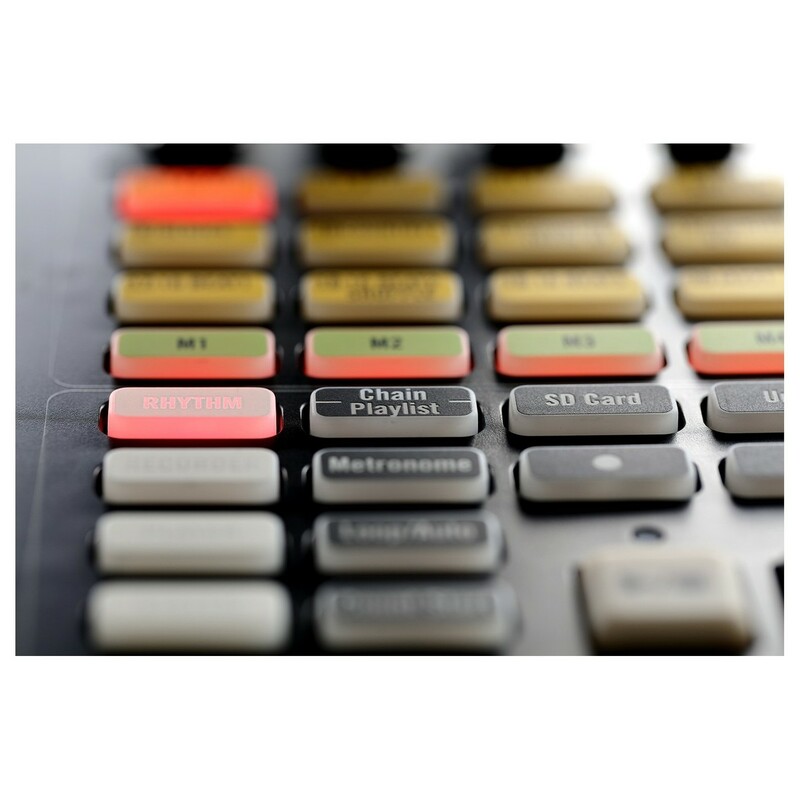 Use the variety of input sources to record your own performances along with the variety of drum/rhythm styles, your favourite songs, or a track you created on your DAW. The KR-55 Pro allows you to export your recordings as a WAV file to an SD card, which fits into the KR-55 Pro. Let the KR-55 Pro take care of all the rhythm work whilst you enjoy a full-band performance with bass, guitars, and vocals. You can also multi-track record your guitar and bass when you want to create more complex tracks. Editing functions are also provided, allowing you to undo/redo and punch-in. You can also place markers at the desired location of the recorded data, and also overdub over recordings while looping the playback. The KR-55 offers an audio player function that allows you to play back your audio files from an SD card. Prepare your tracks beforehand and then use the playlist function to create an order for your set. The playlist function features 10 banks for managing up to 24 songs. Playback speed can also be adjusted between -25 and +25 percent. You can also choose to have the tracks play automatically in succession, allowing you to create a naturally flowing performance. Thanks to its compact size and battery powered operation, the KR-55 Pro is ideal for street performances and more. The KR-55 Pro features 24 built-in drum/percussion styles that were recorded live using Korg's proprietary 'Real Groove Technology'. This uses data recorded from actual musicians performing at various tempi, with each fine tuned to provide the feel and experience of playing with a human percussionist. Sounds, grooves, and phrases will play back at pristine quality even when tempo is changed, allowing you to enjoy jam sessions at your own pace. Each of the rhythm styles also feature a rich variety of variations. This allows you to create complex rhythm tracks with variations throughout, giving the sense of a changing track. Additionally, a reverb effect and EQ are included so you can shape your sound as desired. The Korg KR-55 Pro also features 'Acoustage', which creates a unique personal acoustic space. It can generate a three-dimensional acoustic experience that is unobtainable from previous systems. 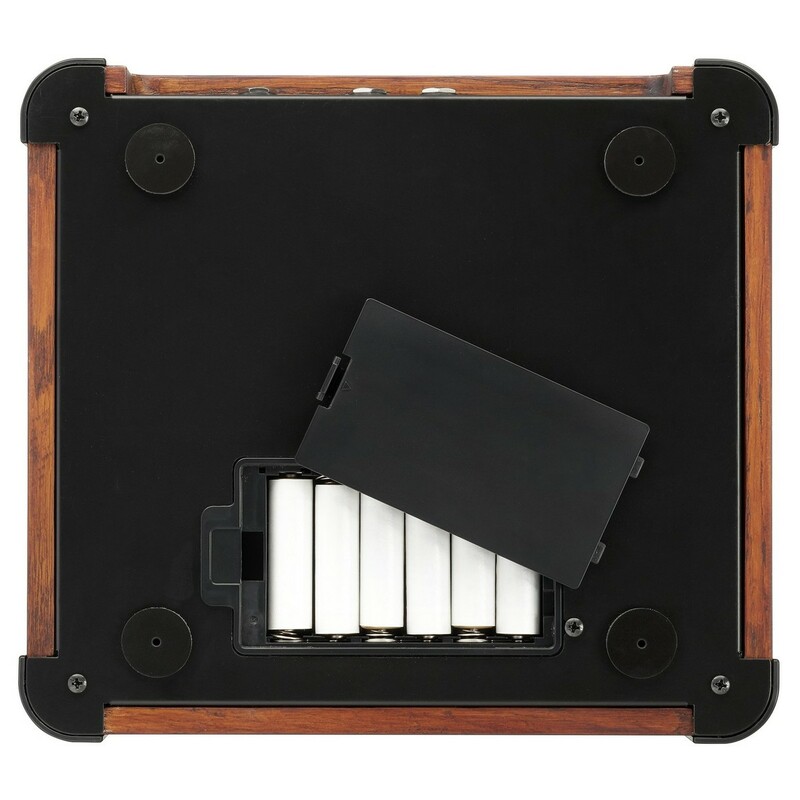 The KR-55 provides a range of connections that can accommodate a variety of instruments and microphones. Provided are input jacks that allow you to connect a guitar or bass, and an XLR jack for connecting microphones simultaneously. 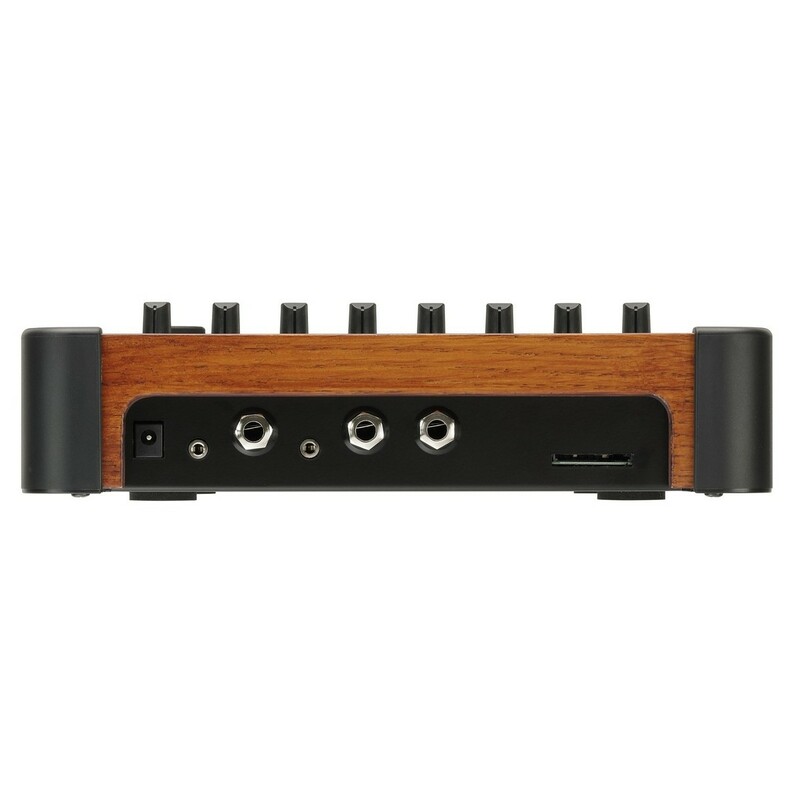 The AUX input supports stereo, and allows you to connect a keyboard, digital audio player, or an effects unit. Altogether, this allows you to use up to 4 channels for a performance or jamming session.